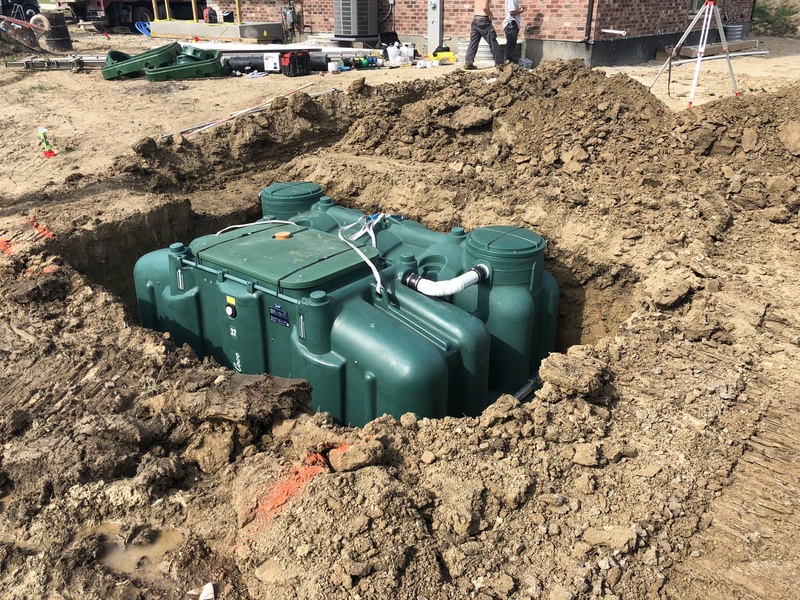 Zeiter's Septics Products and Services ⋆ Zeiter's Septics Unlimited, Inc.
Aerobic units are miniature sewage treatment plants. These can be installed for Residential, Commercial, and Industrial use will require a high strength unit designed to treat a higher BOD. 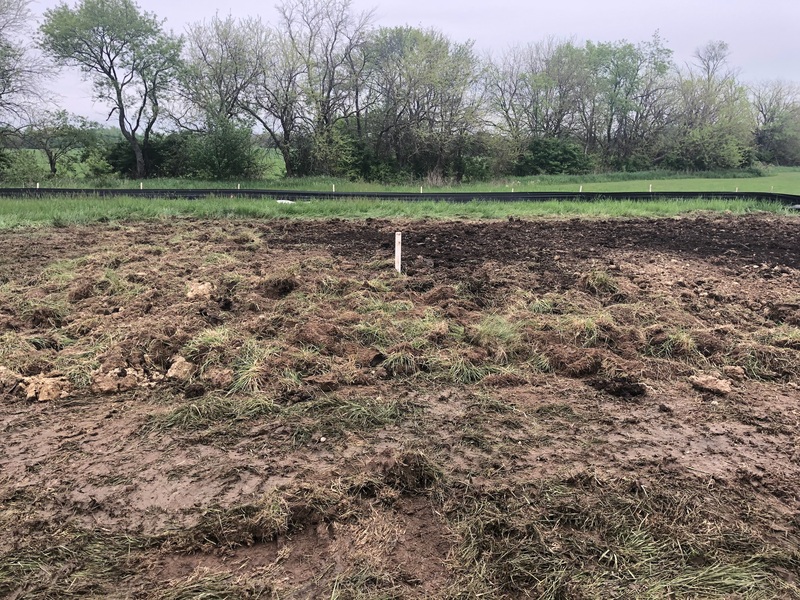 Most Aerobic units consists of a Pre-treatment tank followed by an aeration compartment, discharged into one of the following, depending on the county you live in: a subsurface or raised sand filter, a septic trench, or an effluent receiving bed. Any aerobic unit that surface discharges would require a chlorine contact chamber and or a sampling port. We are installing and servicing the Bio-Microbics FAST and the Sybr-Aer wastewater treatment systems, which we feel are the best residential & commercial units available, call for a free brochure & quote. The Fast unit has no electrical parts, floats, moving parts, filters etc located inside the tank. The media that is used has no maintenance involved. There is a blower that has a 2″ air line going to tank. When a lift station is required or a batch treatment plant (for use with raised filter beds) we use the SYBR-AER units. We provide service & service contracts for any and all types of Aerobic units. Please visit our Aerobics page and our Aerobic photo album. These are advanced systems designed specifically to treat all the wastewater (blackwater & greywater) generated onsite from single-family homes or other small-flow applications that far exceed effluent requirements. NSF/ANSI Standard 350 certified for Water Reuse (the first to receive this distinction), this provides new construction and renovation/repair projects in “water constrained areas” with new opportunities for water recycling. Another big benefit for the homeowners is having the use of their backyards. Now you have room for decks, patios, pools, outbuildings etc etc. The MBR unit significantly reduces the size of the absorption fields required. 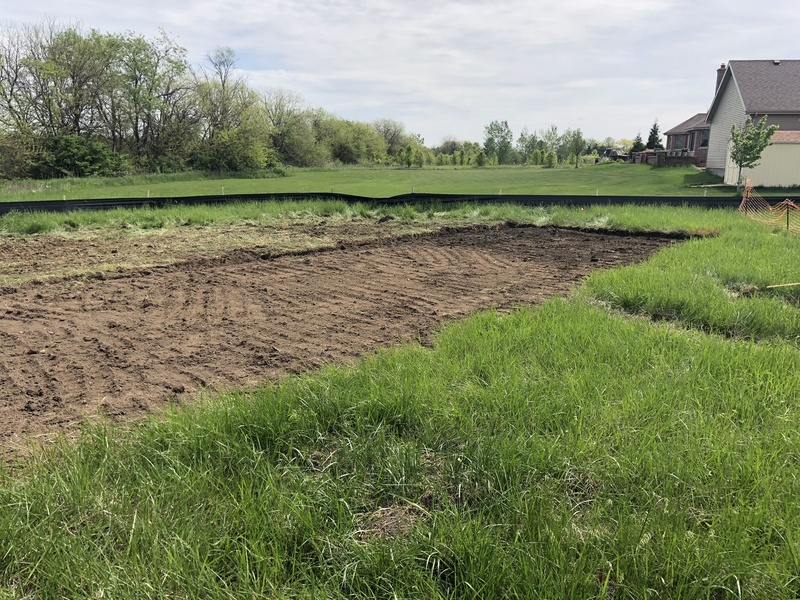 The MBR systems have turned unbuildable lots into build-able lots, whether it was an issue with the soils that would not allow a conventional wastewater treatment system or the topography. Please do not confuse the MBR as a conventional septic or an Aerobic unit system, it is not. This is a true water recycling system and therefore cannot be treated as a conventional system. Since the elimination of phosphates in the everyday cleaning products we have found that Quaternary Ammonium products have an adverse affect on the biomass growth. You have to be conscious of what you are using in the household to protect the biomass development. If it gets killed off the MBR will do what it was designed to do and shut the pump off so you cannot send any contaminated or untreated water out to the absorption field. The BioBarrier systems allows Zeiter’s Septics to meet all of the challenging situations that we are faced with on a daily basis. We are proud of our team and we have the knowledge and experience to work through any and all situations that present themselves. Please go to our services page or click on the link below for much more information. A picture is worth a 1000 words. This is a typical grease and soap stone build-up we discovered on a service call from a local school district. Initially we jetted in 20′-30′ and broke through the obstruction. In the past practices we would have said OK everything is flowing the blockage has been cleared. However, with the new technology available today and our sincere desire to provide the best possible service to our customers. We use one of our color cameras to inspect the line to ensure that our diagnosis is correct. In the above case without the camera we would have never discovered that 130′ of 6″ line had a build-up which only left about 3″ of open pipe. We can provide our customers with a video & or report if required. All of our camera heads have built in sondes as well as foot counters that allow us to pinpoint the broken or cracked pipes, back pitch on pipes, tree roots and other obstructions that may exist. We have the capabilities to send the camera and jetter in together especially when root cutting is required so we can monitor the progress as we are cleaning. We offer preventative maintenance programs to fit your needs. We are the local distributor & installer for the Premier Tech Ecoflo Coco Filter system in Illinois. We wanted to add them to our list of services for a variety of reasons. Not one type of wastewater treatment system will work on all sites. There are over 100,000 systems installed The coco filter allows us with an a wide variety of alternative solutions. They have the longest warranty of any product! All biomat buildup is contained inside the unit if & when it was to fail you simply vacuum it out and install new coco media and you start a new 10 year warranty. They have just released 50% smaller compact units and the all in one series Eco PACK which is the septic tank and coco filter in one compact space. Please visit our Coco filter photo album and downloads page for a brochure and more information. We have water jetters that are capable of cleaning from 1-1/2″ up to 24″ diameter lines, with root cutting capabilities. We have an extensive line of jetting nozzles including multiple penetrating heads, cleaner heads, bullet type heads, warthog for roots, weighted heads ( for riding along the bottom of the pipe), and nozzles for cleaning grease trap line. Our jetters range in pressure from a 1000-5000 psi @14-23 gallons per minute, with 500 ft. of hose. The water pressure can be regulated as needed. With jetting, as the heads feed through the pipe, the nozzles have jets on 45 degree angles to propel and clean the sidewalls as it goes. When possible water jetting is the preferred method, however there are time when we can not use water and we have a variety of electric cable rodders. We also have a dolly mounted jetter for using inside the home or building. Our employees have been certified in high velocity water jetting to better service our customers. Please visit our Jetting Photo Album for pictures. 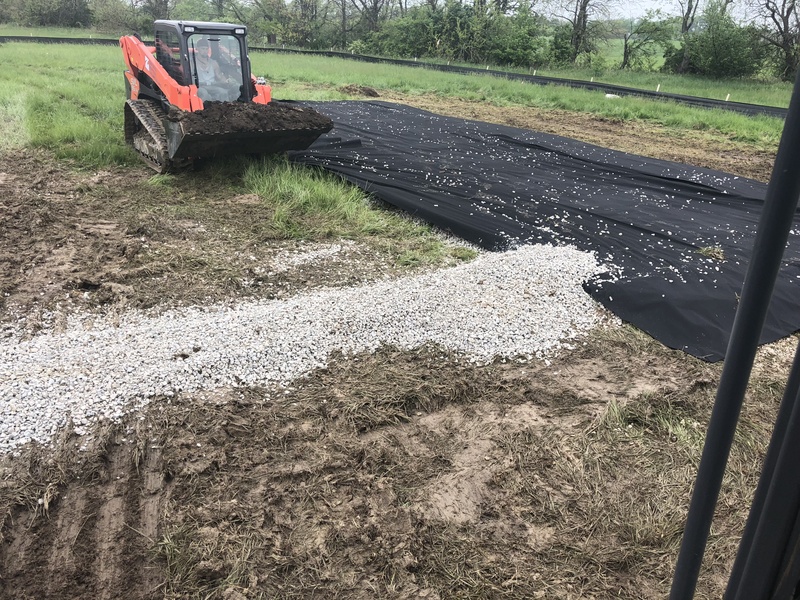 First of all I believe this is the best way to install any type of on-site wastewater trench system, sub-surface sand filter or an above ground system commonly known as a raised filter bed. . When you pressure dose to the final absorption field you are evenly distributing the treated wastewater over the entire area of the system. You have control of how much effluent & how often you need to distribute the effluent by either an on demand panel or a timed dose panel. Each Residence or Commercial site is unique in that they have different water usage. All of the local Health Departments are requiring systems to be installed shallow to maintain a 2′ minimum vertical separation from the limiting layer. When an installer has to meet these requirements a lift station is needed to do this. If you have to install a lift station anyway, all you need now is to add a control panel & some extra pvc piping. 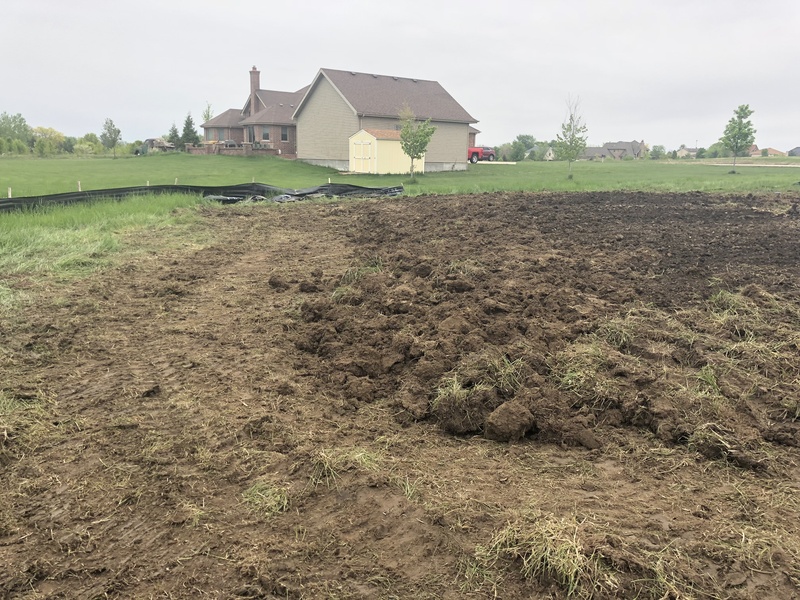 •On a gravity fed system when you are running water in the household there is a constant trickle or flow into the septic field for as long as 20-30 minutes after you stop running the water inside the house. We may have a graduation party or pool party at the house, or we fall behind on washing clothes and do more loads then we normally would have to and the system is overloaded that day. With a pressure dose system you have control over surges and excess water usage. This is achieved with a tank, pump or pumps and floats with a controller panel. •Do you want to dose the same trench day after day until it eventually seals it self off with the biomat build-up and can not take anymore & then flows on to the next trench to start all over again? Or do you want to evenly distribute the daily flow over the entire system? For example say you have 500 lineal feet of septic field or a sand filter and you wanted to dose it with 400 gallons per day four times a day. You could dose it with 100 gals every six hours. You would be dosing it through 500′ of 1-1/2″ pvc pipe with a 3/16th’s hole every 5′. This pipe is suspended inside the Infiltrator chambers. There would be a total of 100 holes discharging 1 gal per hole four times a day. This type of system is going to have a much, much longer life span. 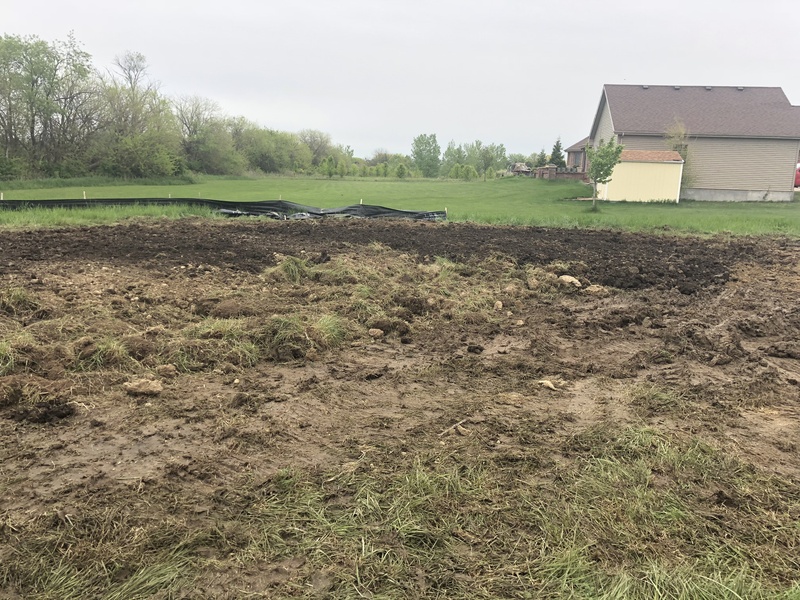 The same principle applies to just about any type of septic system you may be required to use. Please if you have any questions or not quite sure you understand please call me, I would be happy to explain it more. We have been Installing since 1978 and we are continually learning about the new technologies that are available for the on site wastewater industry. We will be updating our photo page with our own pictures in the near future for now I have provided some from one of our suppliers. Please look at our pictures on the photo gallery page. We have a 2015 International with a 4000 gallon aluminum tank and an NVE 4307 Blower. Our Sterling vacuum truck has a Challenger Liquid cooled 600 cfm, and a 3600 gallon capacity tank. Heated valves on all trucks keep us going on even the coldest of winter days. We clean residential, commercial, and industrial septic tanks, holding tanks, manholes, and catch basins. Our drivers are provided with route tickets for each job. These tickets have a check list for items that are inspected, was the tank overfull, was the tank baffled, did effluent run back in from the septic field, were there any wet spots in the yard, etc. etc. If we find any problems we can then inform the customer. We use the Summit software program to log all pertinent information, tank size, location and to generate reminder notices, and maintenance scheduling. This allows us to keep accurate records for all of our customers. Including each and every time the system was serviced. The raised filter bed is sized the same as any other absorption system. You need to have a loading rate and then you use the number of bedrooms or employee’s to size the sand mantle and gravel cell. This type of system is a good choice if you have bedrock or a very high seasonal water table and need to maintain the minimum vertical separation that is now required. With this type of system you have to use a Sybr-Aer Batch Treatment Plant. This code is suppose to be changed in 2016. This will allow us to use any Aerobic unit with a dosing tank after it to disperse the effluent to the RFB. This unit blows air into the unit for approximately 20 hours then shuts down for 3 hours and then discharges the effluent from that day into a raised filter bed/gravel cell that trickles down into a sand mantle. The biggest drawback to this system is being able to find the birdseye filter media. It is not locally available and requires trucking it in from different locations and this can be quite expensive. Please visit the RFB photo album. Since we’ve started installing the Coco filter unit, these have replaced the sand version. The Ecoflo coco filter is more economical and carries a 10 year warranty. Most of our tanks come from Grove or Wieser concrete out of Wisconsin. When we need conventional tanks or our installing a Fast unit we use GP concrete. Gary & Peg have went out of there way to modify and add additional items to their tanks for us. All of the precast tank manufactures cast in risers per our specs. This allows us easy access for servicing and filter maintenance without the need for digging. Why are we buying tanks from Wisconsin? It’s an easy answer and when you see one of there tanks you will know why. Wisconsin have much more stringent requirements for their tanks. They are air tested and will not leak or allow water to infiltrate. Almost all of the tanks we use are two-compartment monolithically poured (one piece). There is no one in Illinois that can provide these type of tanks. All of our BioBarrier, Sybr-Aer and all large commercial tanks come from Wisconsin. Yes it costs more (mainly in the trucking) but you get what you pay for. 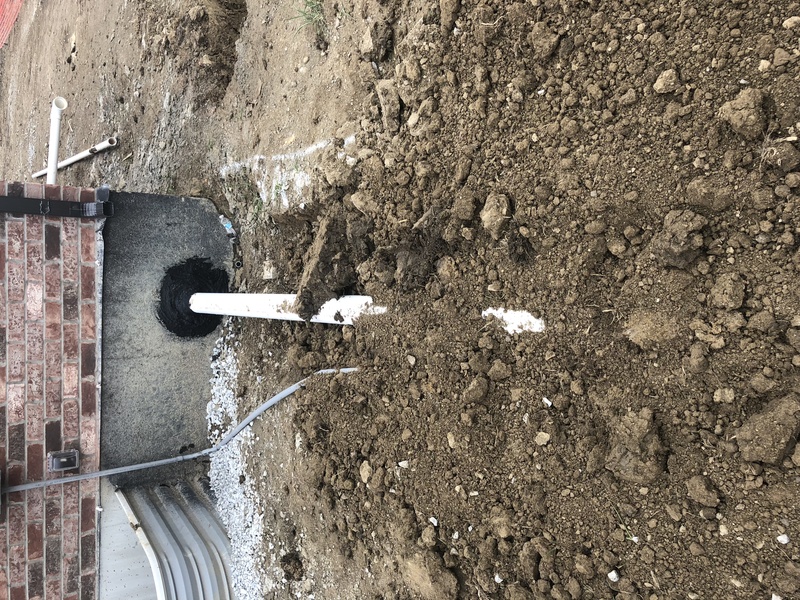 One two-compartment tank will take up less room and the bottom line for us is not the money it is the peace of mind knowing the tank will not leak or worse take on water and flood the septic system. We have been installing filters and risers on our systems for the past 20 years, most other contractors are just now beginning to! With a two-compartment tank you have more settling time i.e. 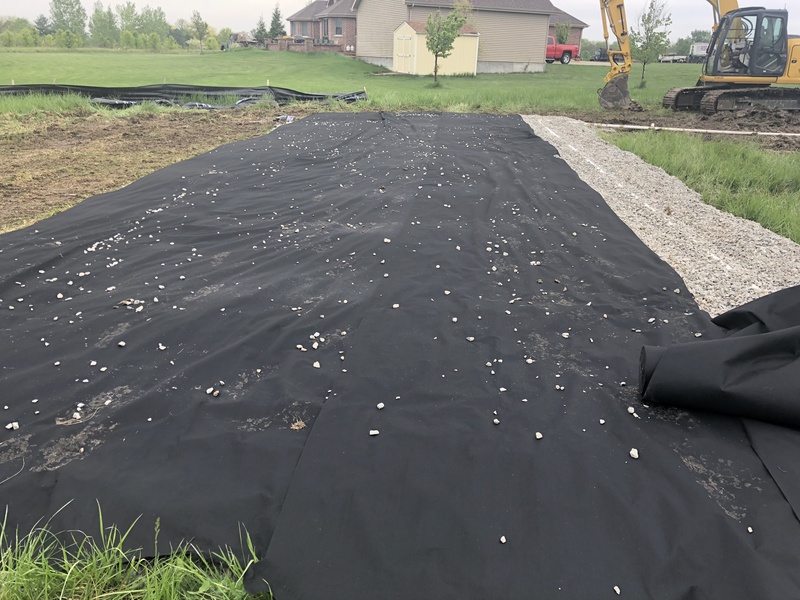 less floating solids & with the added filters we install you have a reduction average of 60%-90% of the suspended solids from leaving the septic tank and entering the absorption field. You also reduce the BOD (Biochemical Oxygen Demand) by 20%-45%. 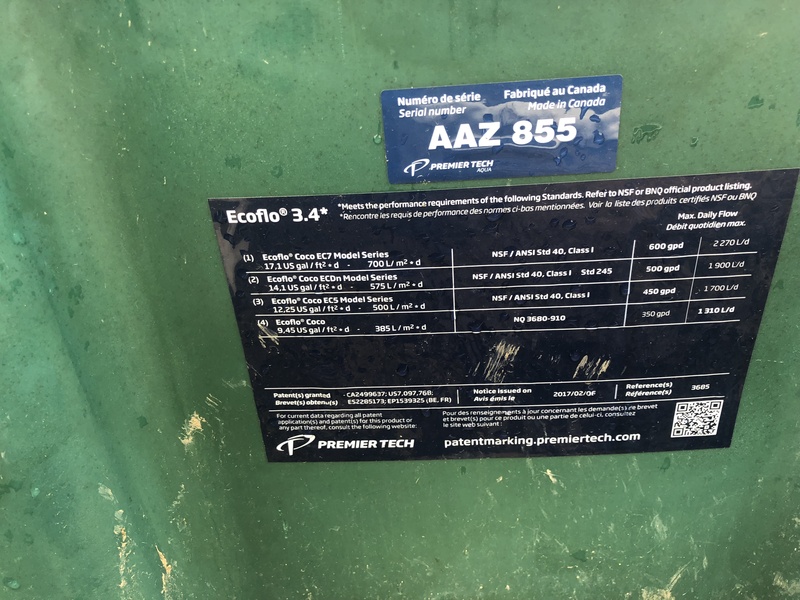 These filters are very economical and Zeiter’s can perform this service for you when we pump the septic tank or the homeowner can. There is a riser to grade for access to this filter which also doubles as a cleaning port saving the consumer from any dig fees. You have the option to either install a 2-compartment tank w/filter or to install the filter inside a single compartment tank sized for your new home. This filter can also be installed inside your existing septic tank or after it. Zeiter’s includes a riser and filter on all new installations, septic repairs and Terralifts. Bottom Line less biomat build up, longer septic life. For more information please contact us or download the SaniTee and SImtech Filter brochures from our site. 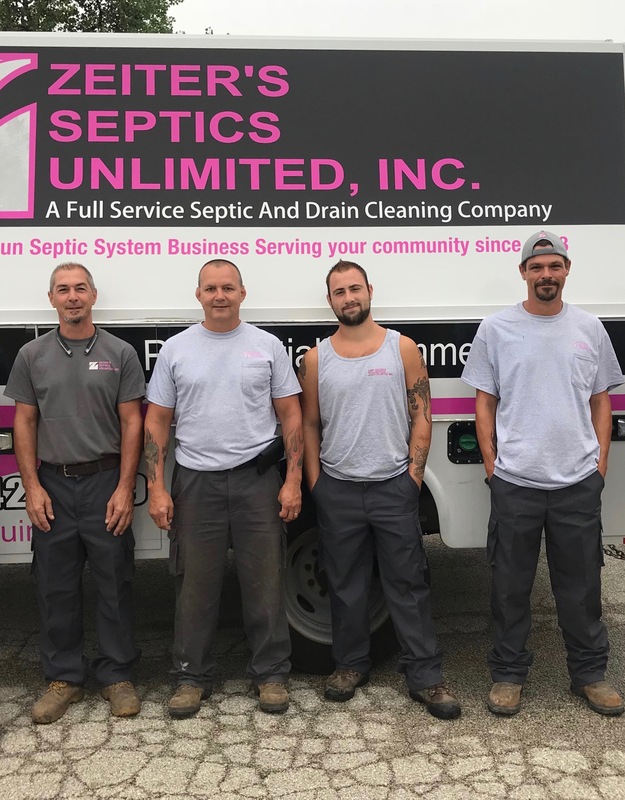 Whether you are buying or selling, Zeiter’s Septics can provide you with a complete and comprehensive septic inspection. By law you are required to have a Well and Septic inspection before you can sell your home. Your local Realtor should advise you of this. 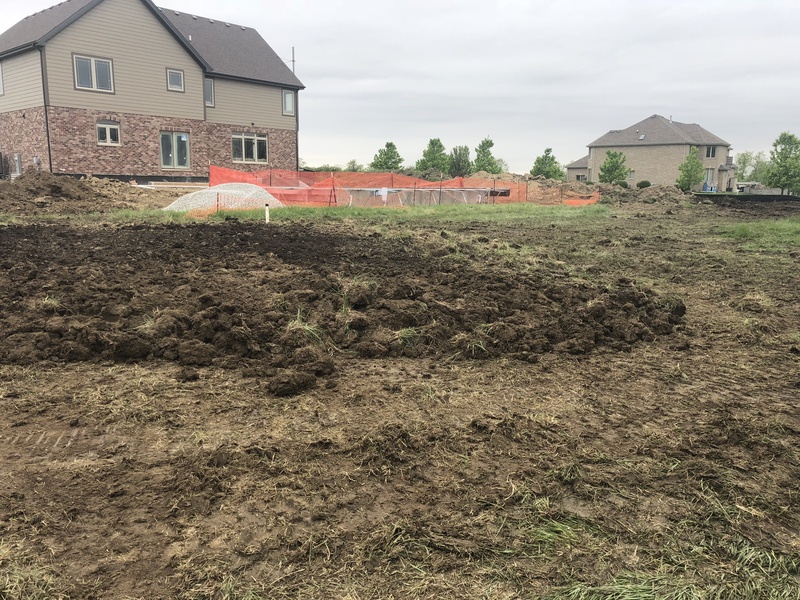 We provide a thorough inspection of the onsite septic system. 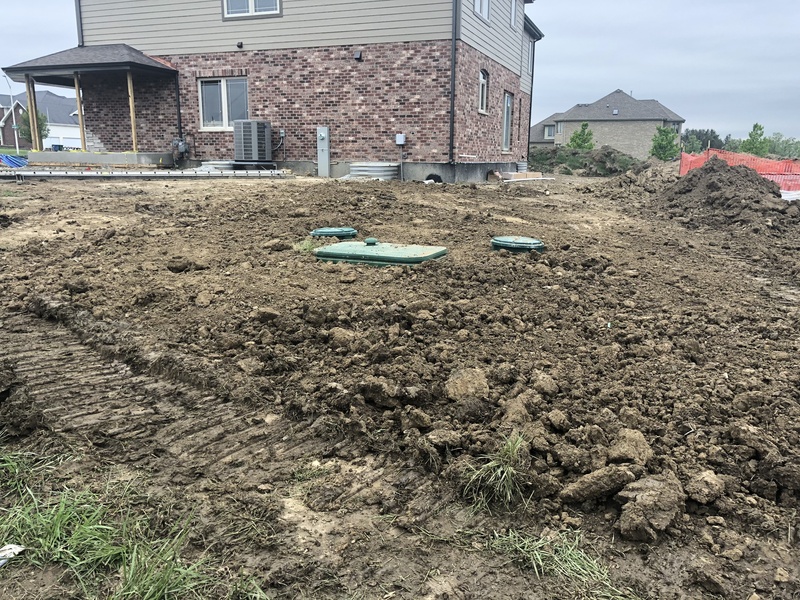 We will locate the septic tank, pump the tank, inspect the integrity of the concrete or plastic tank, check to see if the baffles are in place. 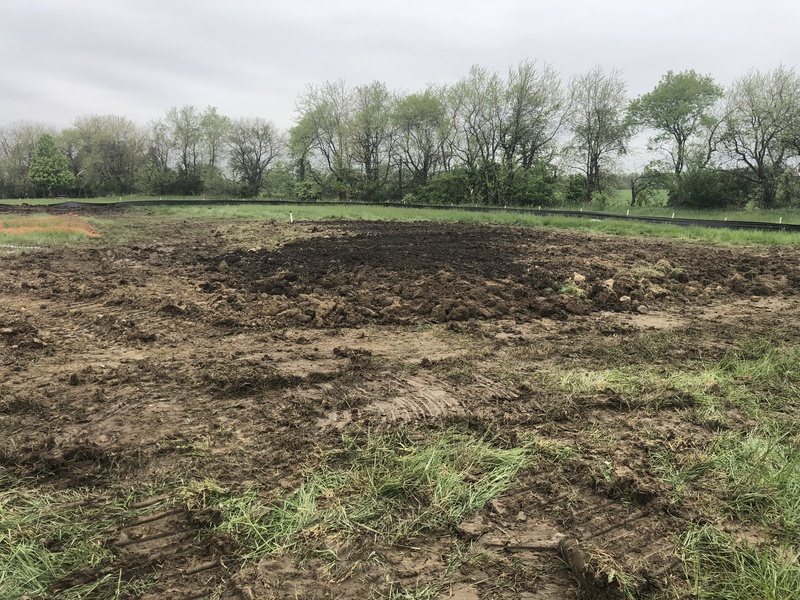 Then we will walk the area of the septic field looking for any signs of past or present failures, probe the trenches to check see if the trenches are taxed/overfull. To much to mention here. We provide a 5-page report of all items checked. We feel this is the best way to perform a septic inspection. It protects both buyer and seller. Sand filters are sized by using a soil loading rate from a soils scientist and the number of bedrooms or the number of employees you have. Simply put you dig a pit after the septic tank or Aerobic unit approximately 44 inches below the outlet. You then install 5″ of stone and lay some slotted pipe on top. This is called the collection pipe after which you cover the collection pipe with another 5 inches of stone. 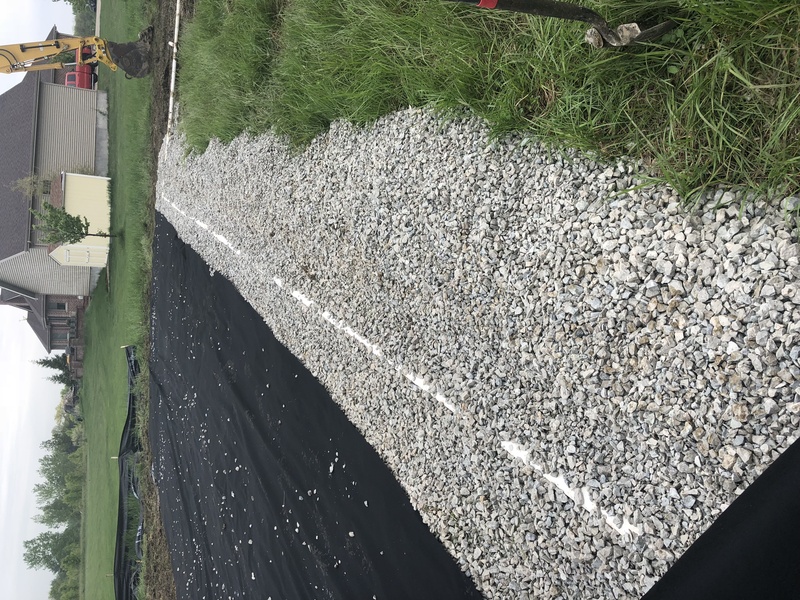 The next layer you install is 2″ of pea gravel. Then you put 2 feet of State approved birds eye filter sand on. After the sand we install another 5 inches of stone. Then you lay out a grid of distribution pipe with a vent or two above ground. Next you cover the distribution lines with another 5 inches of stone. The distribution lines are then connected to the septic tank or Aerobic unit. 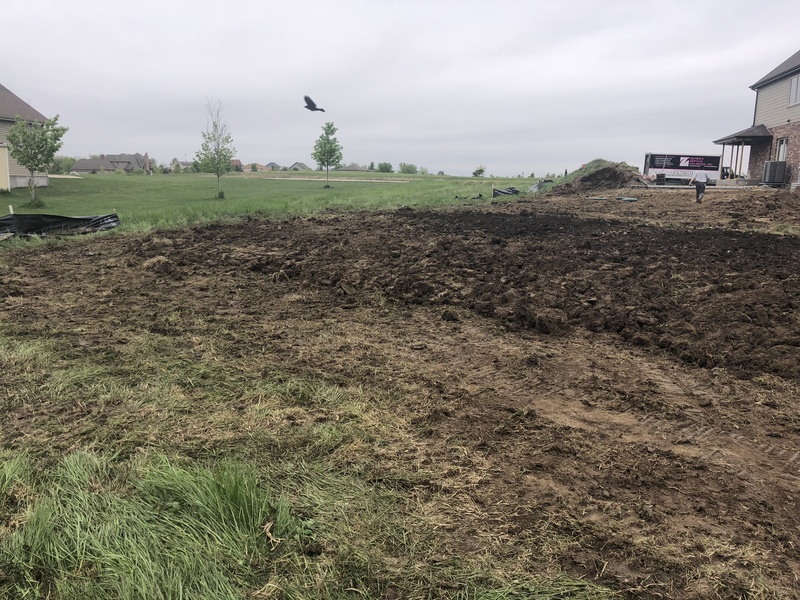 All of the effluent coming from the house will flow through one of the above tanks and into the sand filter where it is filtered and discharged out through the collection pipe to a chlorinator or UV disinfection chamber. From there it will go to one of the approved discharge points, see Aerobic section. Please see our photo gallery for detailed pictures. Because of the State code change in January 1 2014 the subsurface sand filter is rarely installed. Spring of 2016 we purchased our second Terralift machine. An alternative method to failing septic fields. See FAQs & Tips for answers to your questions on why Septics fail. A Terralift can provide a solution that is fast, effective and relatively inexpensive. In a few hours, years of life can be added to your septic system with little disturbance to your yard. The Terralift machine uses a long, narrow probe and an integral pneumatic hammer to penetrate the soil to depths of 3′ to 6′ depending on the depth of the leach field or sand filter. It then forces air and injects polystyrene pellets into the soil at a controllable rate using a special high-pressure compressor creating a network of hairline cracks, and fissures. 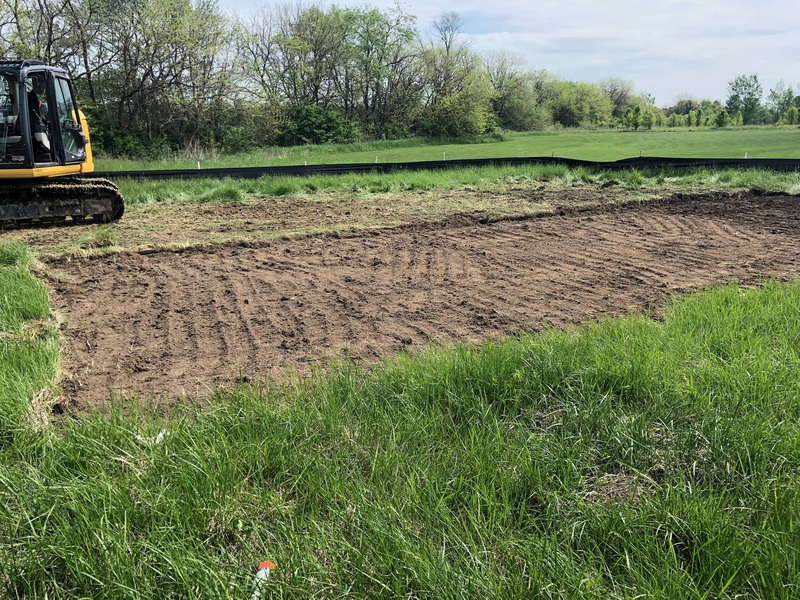 This will allow oxygen into the soil and helps break down the biomat that has formed on the walls of the trenches, and loosens the compacted soil in the leach field. The pellets keep air and water passages open to ensure proper leaching and transpiration. 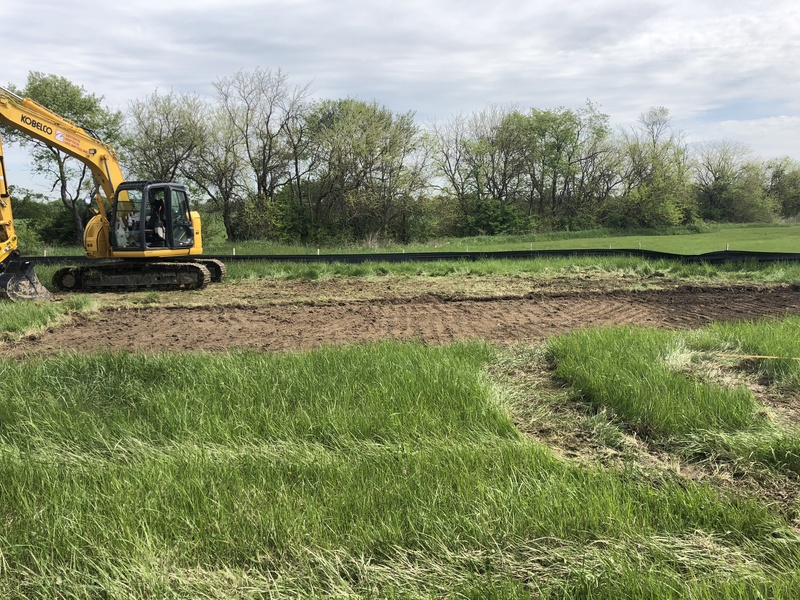 This operation is repeated every 6-8 foot, depending on soil conditions, around each of the septic trenches. We also incorporate Pro-Pump and Septic Scrub into the system to help break down the biomat. We have confidence in this procedure especially if the absorption field has worked for 20 plus years. That is a good indication that the soils are good and we should be able to rejuvenate the field and get some extra life out of the failing system. We have been performing this procedure since 1994, and have performed well over one thousand Terralifts with excellent results. Check out our photo page. We use LMK Enterprises for our lateral pipelining process. LMK’s technology allows us to lateral line through a clean out with no digging or cutting required. The lining is usually positioned with a translucent bladder and vacuum impregnated. Next we invert the liner/badder assembly through the clean out and is directed upstream or downstream by the use of a guide shoe. We then can visually verify the placement of the liner prior to curing because of the one step inversion process that is exclusive to LMK installers. No other lining company can offer this. I personally would not want to invert a liner into a pipe & have to let it cure & then provide a camera inspection only to find that it was not placed where you intended it to be, (first pic bottom of this paragraph). The liner is then cured at ambient temperatures or accelerated with steam. The liner can be installed where the inflation pressure is never compromised; because the liner remains inflated from the time of inversion throughout the curing process. This is an important feature as the pressure used to invert the liner tube may move broken pieces of pipe. If inflation was removed the broken pieces of pipe could fall on the deflated liner. Inflation, deflation and subsequent re-inflation could result in a defective liner which would result in required excavation to repair the defective liner. When cured the badder is re-inverted & removed from the pipe. There is no cutting required in the liner because the liner is started below the test tee & past the side connections. Further, the liner is open ended at the main location so there is no cutting at the upstream end or the downstream end. We are licensed & certified by LMK & have a fully equipped lining trailer. Please visit our lining page.